The Epic Charity Challenge is designed to be arduous but achievable for average people with a purpose, while raising awareness for a specific charity. Attention all Parkites looking for an athletic challenge, the gauntlet has officially been thrown down! Retired Navy SEAL Officer Lance Cummings is looking for participants to join him on a 160-kilometer, 36-hour, self-supported trek to retrace the infamous Bataan Death March in the Philippines. The historic march took place during the height of World War II after the U.S. surrendered the Bataan Peninsula to the Japanese (April 9, 1942). Approximately 75,000 Filipino and American troops were forcibly transferred to prison camps along an arduous 65-mile journey. Due to the harsh conditions and severe physical abuse by the Japanese, thousands died along the way. The excursion is the third installment (set for March 2-3, 2019) of the Epic Charity Challenge, which was founded by Cummings in 2016 with the intention of creating annual challenges set in iconic locations and bringing awareness to specific charities. 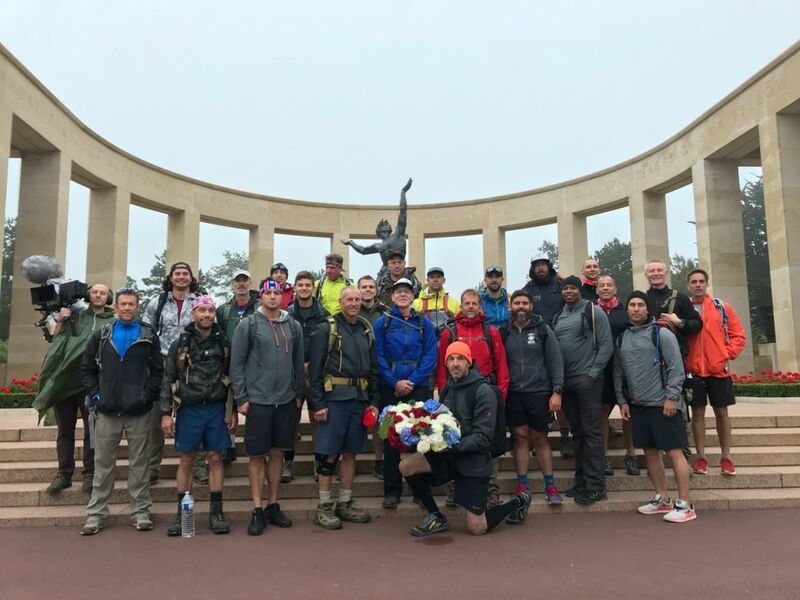 So far, the challenges have included a 250-mile, 8-day trek from Sparta to Thermopylae in Greece; and an excursion to Normandy, France to swim 10 kilometers in the English Channel, scale the cliffs of Omaha Beach, and ruck 40-plus kilometers to Saint-Lô France (the original objective of D-Day plus 24 hours). Past challenges have raised more than $330,000 and the beneficiary of the upcoming Epic Charity Challenge is none other than the National Ability Center, a non-profit that pushes boundaries every day through their adaptive sports programming. Cummings is hoping that Parkites will step up to fill the remaining slots of the expedition and help support one of our most amazing local organizations. A native of Georgia and current resident of San Diego, Cummings has been skiing Park City with his family for years. He has a very personal connection with the NAC. "The first time we came to ski, we wandered into the NAC trailer and found out my son, who has lymphedema, qualified for their programming," says Cummings. "That was back in 2010 and we've been coming back ever since." We recently chatted with Cummings to find out a bit more about the Epic Charity Challenge, the upcoming Bataan Death March excursion, and what makes someone a good candidate for the event. Why did you start the Epic Challenge Charity? It started as a way to challenge myself and other people trying to get in shape—or trying to do an event that might currently be beyond their physical boundaries, but wasn't completely out of reach. I saw a lot of adventure racing out there, but they didn't have the benevolent mission attached. So, I thought combining a physical challenge with a beneficiary would be a perfect win-win. You need a reason to do something that's hard. Attaching a cause is the perfect motivator. Every day when you wake up with the goal to better yourself, you are helping someone else. Beside your personal connection, what drew you to the National Ability Center? Just meeting the people, learning about their mission, and seeing how they interact with people of all abilities in an outdoor venue to better themselves and work around their challenges is really inspiring. How do you pick the locations for your challenges and why did you choose the route of the Bataan Death March? I look at locations throughout the world where history made an abrupt change. In that respect, it's not just about a physical challenge, participants can also have a cultural experience and become a part of the event in a sense. I brainstorm while I'm training or along the route of a challenge and I'm always looking for places. They've typically been military-oriented, but it's mostly about taking a stand for justice. When you look at the Bataan Death March and how much the POWs suffered, it helps put things into perspective when you know that you will have camaraderie and full support along the way. A little suffering is good, it helps you connect with these monumental historic events. What kind of a person is right for this particular trip? Are there limitations? There are very few people who aren’t right for this. You don’t have to be a super athlete to do this. If you can commit trying to make yourself a little better and get out of your comfort zone, you're a potential participant. For the Normandy trip we had a 65-year-old attorney and, in Greece, there was a guy who had no arms or legs and did the entire trip on a bicycle. If you want to do the Bataan March with a partner or as a team, we can break the route into shorter increments and if there's a safety concern, we take that into account. If you want to do it, we can make it happen. How do you recommend someone prepares for such an undertaking? You do need some training if you want to do it solo, but it really depends on your base level of fitness. There was a guy who signed up to go to Greece a week before the event. He finished on his own fortitude, but he suffered for not having trained. During my thirty year career, I haven't come across anything that's impossible and this is mostly about adjusting your priorities and perspective. My advice is: train smart, train hard, and keep your goals in mind. Why do you specifically want Parkites to get involved with this Epic Charity Challenge? It all comes back to the National Ability Center being a Park City charity. The town is full of athletes (pro and amateur) who could easily participate and bring the organization wider recognition. We have four guys from Salt Lake City already signed up and we're hoping to fully sponsor an NAC athlete to come along. I'm personally challenging Park City to step up. If you want to help support the National Ability Center and think you have what it takes, you can sign-up for the Epic Charity Challenge here. Don't forget to check out the videos from the previous missions below. Note: You must pre-qualify for this event or get approval from the Epic Charity Team. Ironman and Relay Team options available. Each participant pledges to raise $6,0000.00 for the selected charity. If you fail to raise your pledged goal you are required to fund the balance. You can opt to self-fund the entire tax deductible amount. Epic Charity Challenge: The Twenty from Palmer Douglas on Vimeo. Epic Charity Challenge: Preserving Freedom from Palmer Douglas on Vimeo.